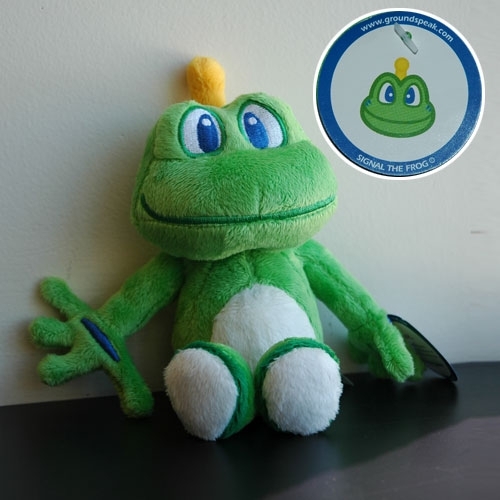 Mini Signal the Frog Plush Description: Signal the Frog is the mascot for Groundspeak and represents GPS technology. More info on Signal can be found on Geocaching.com. He is a stuffed green plush frog approximately 6 inches (from tip of antenna to bottom of foot) weighted bean bag bottom to assure he stays in a sitting position.